We hope you love your purchase, but if it’s not what you expected, simply send your item back via the return instructions. All Returns and Exchanges must be received within 30 calendar days to return an item from the date you received it. Your item needs to have the receipt or packing slip included in your return as proof of purchase. To return an item already received please follow instructions below. For all returns please ensure items being mailed back are in original condition: unworn, unused, upc tags intact, and packaging material present. Please enclose packing slip or invoice to send your products back to us. Once your return is received we will refund you in the method you paid. Return shipping costs are the sole responsibility of the buyer, unless item received is damaged in shipping. Maggie's Gift Shop cannot accept any merchandise that is damaged in shipment due to improper packing, so please repackage all items properly. Damage claims must be received within 30 calendar days to return an item from the date you received it. If you have received damaged or defective merchandise please do not worry, We will file a damage claim with the shipping company on your behalf. Kindy send us an email to [email protected] stating that you have received the item damaged along with pictures of the damaged item and shipping box. 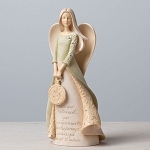 Maggie's Gift Shop will refund shipping and handling costs for returns only if: 1) your return contains defective merchandise or merchandise that was damaged during the initial shipping process; or 2) Maggie's Gift Shop operations is at fault due to shipping and/or handling error(s). Most credits are posted to your credit card within 15 business days of the time that your returned merchandise is received by www.shopmaggies.com. Please call us Toll Free 844-Maggies or 844-624-4437 Monday to Friday 10am to 6pm, and Sat 10am to 5pm Eastern Standard Time or email us at [email protected] and we will be happy to resolve the issue.